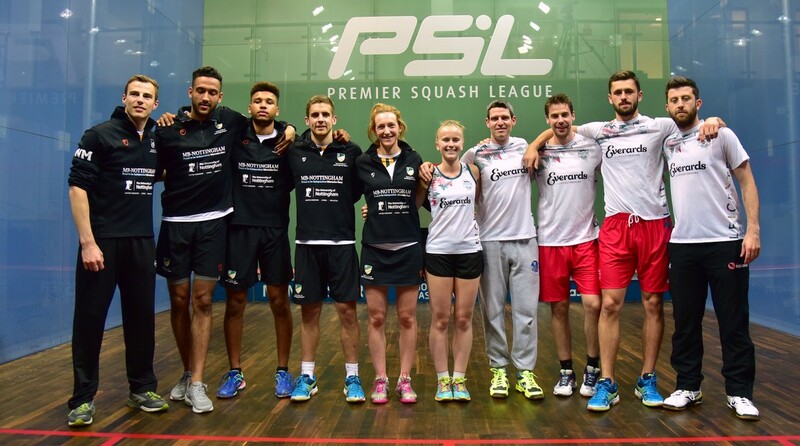 The 2017 PSL climax featured two first-time finalists, Nottingham and Leicester having finished top of Division A and beaten their Division B opponents in the semi-finals to set up a third meeting of the season, and a first all-Northern final for eight years. 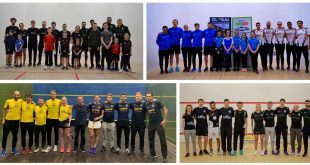 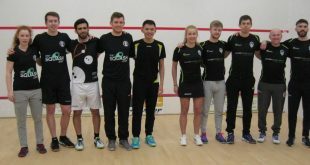 Nottingham went into the match as favourites, but both league matches had finished 3-2 to the home team, so Leicester were definitely in with a shout. Nottingham took a big step towards their first PSL title as they went two nil up, winning both opening matches in straight games. 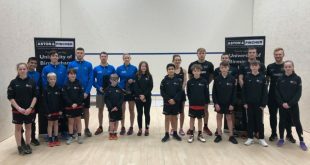 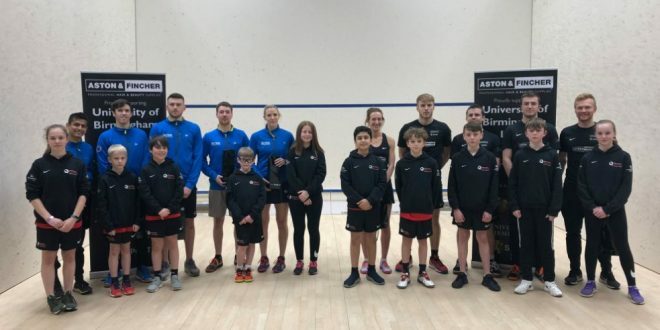 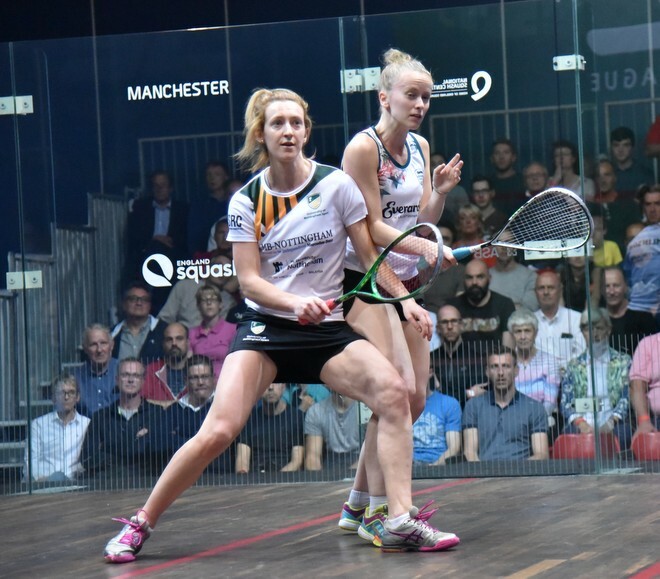 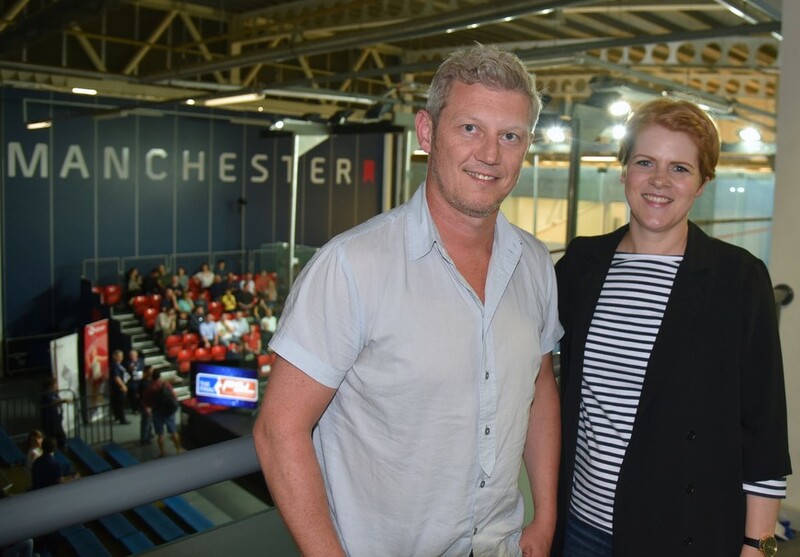 Adam Murrills was favourite to beat Darren Lewis, which he duly did, but Millie Tomlinson’s win over Emily Whitlock was an upset. 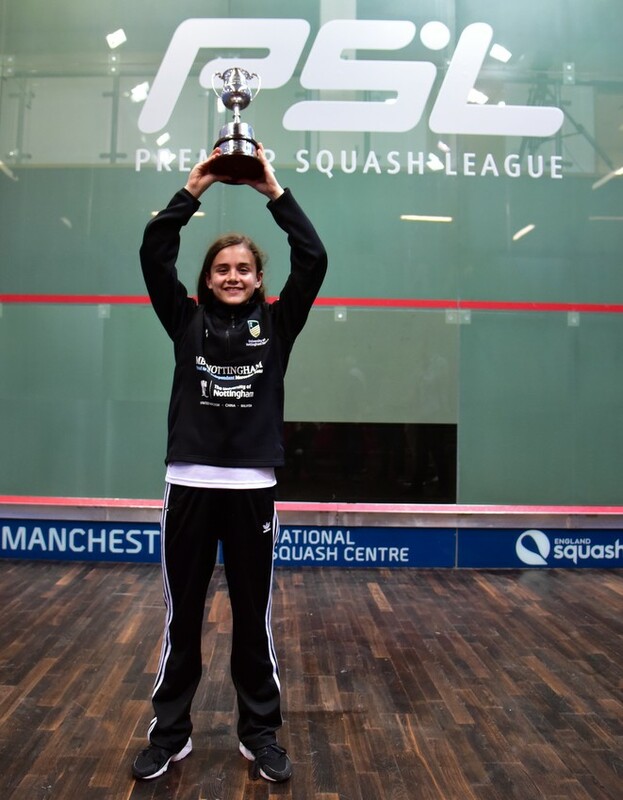 Millie dominated the first two games then got the better of a close finish to the third to put Nottingham in the driver’s seat. 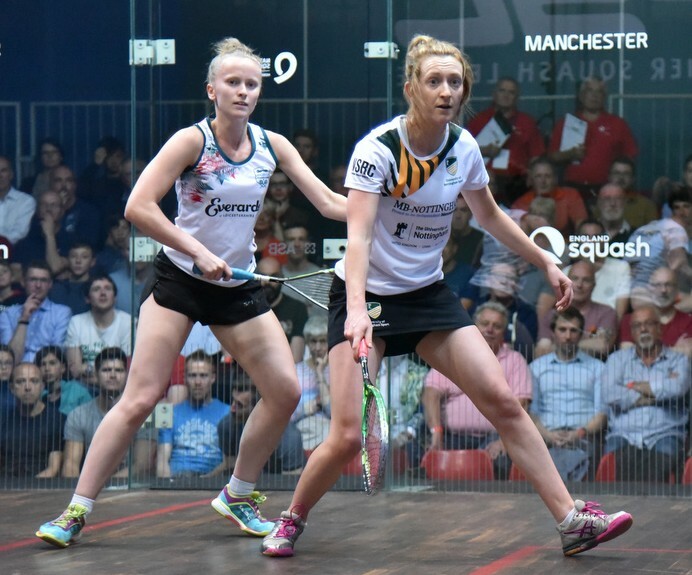 “I’ve had a few poor results this season, but I felt I was playing well today, and it’s great to get the team off to a good start,” said Millie. 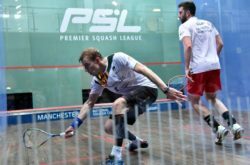 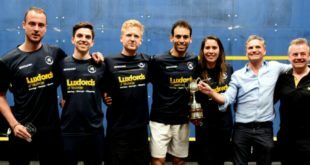 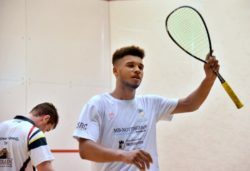 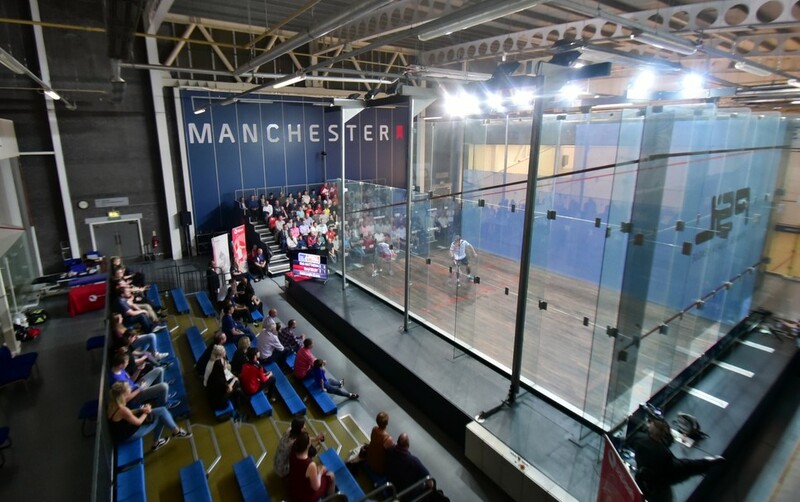 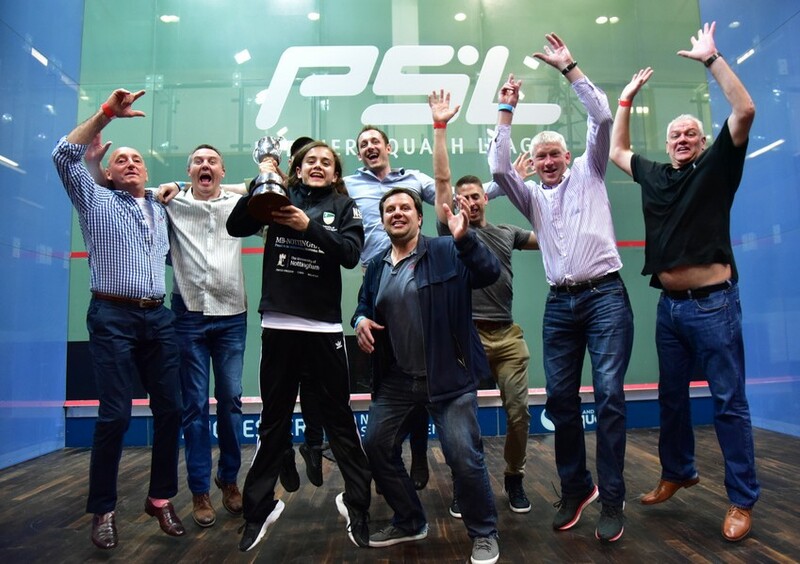 Richie Fallows clinched the title for Nottingham as he beat Mark Fuller, also in three games, taking the second on extra points and fighting back from a mid-game deficit in the third. 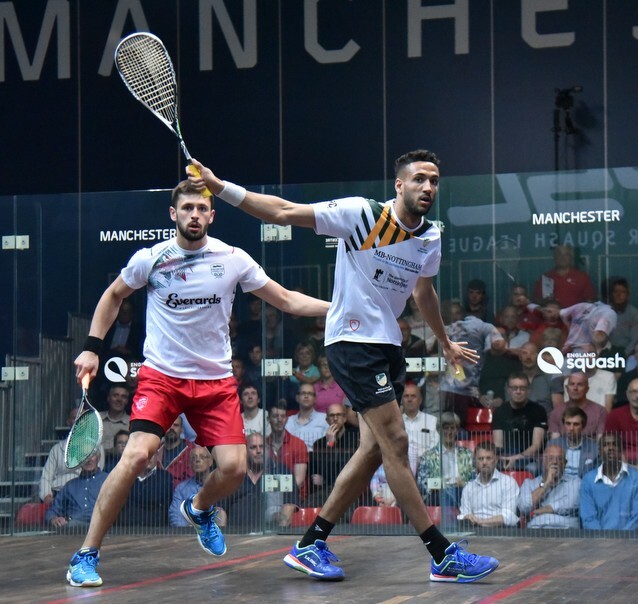 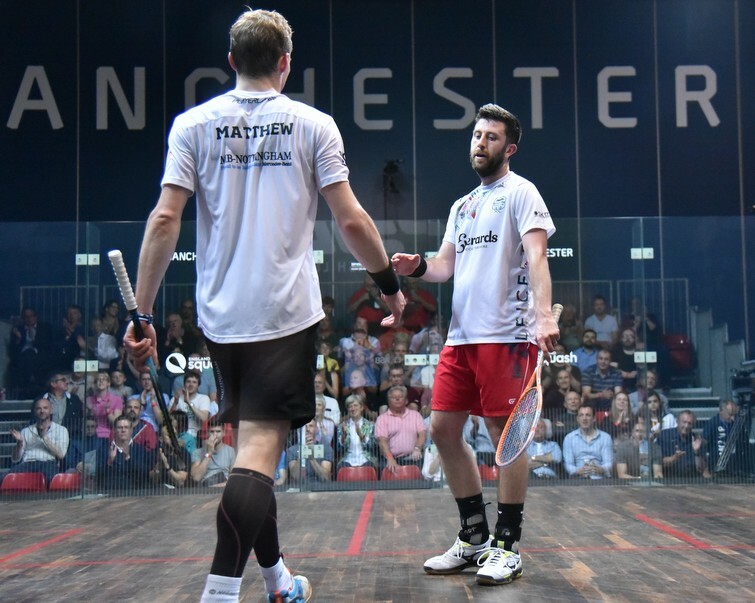 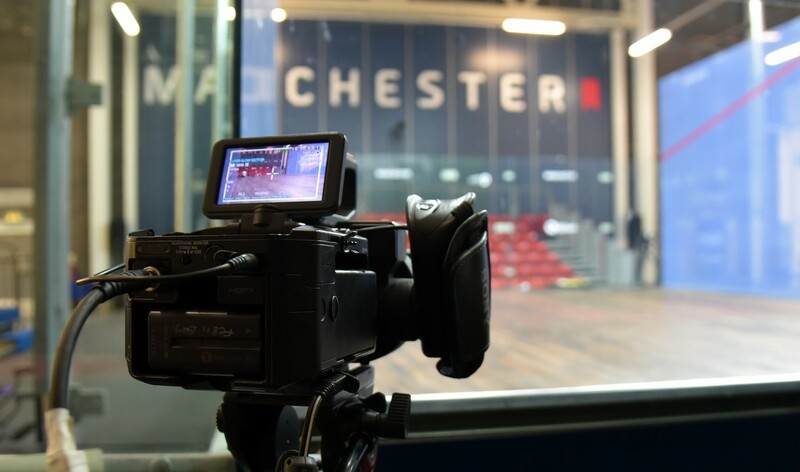 Meanwhile in the top string match on the showcourt Nick Matthew was two-one down to Daryl Selby, and at 6-1 in the fourth it looked as though Leicester would get a point on the board. 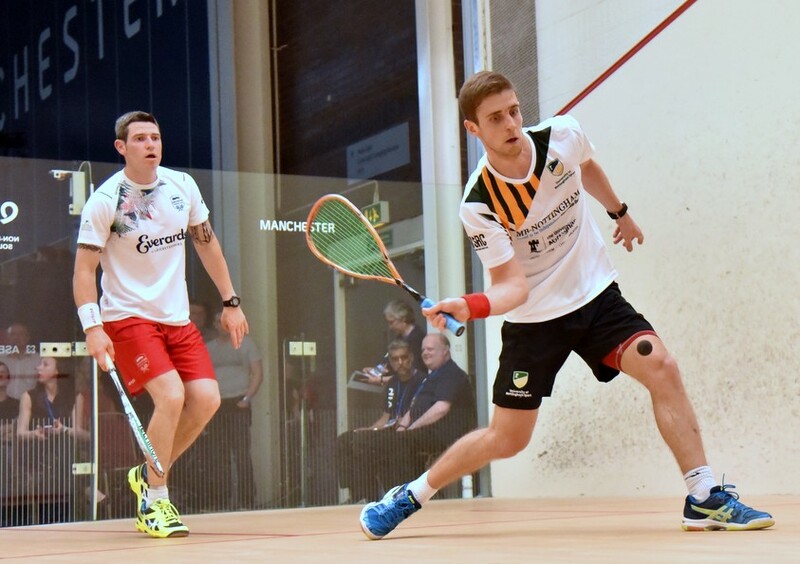 Not to be though as Matthew recovered to take the match in just under an hour. 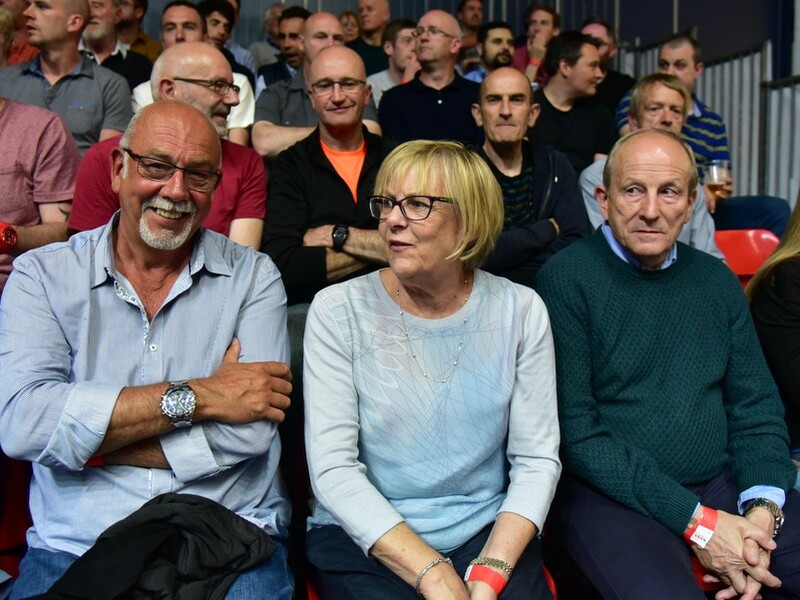 “We knew the match was over, but at 6-1 in the fourth I thought I was going to get a win,” said Daryl, “but Nick wasn’t having anything of it. 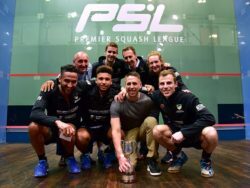 I thought I played well, but all credit to him and to Nottingham, they deserve the win and fully deserve to be champions. 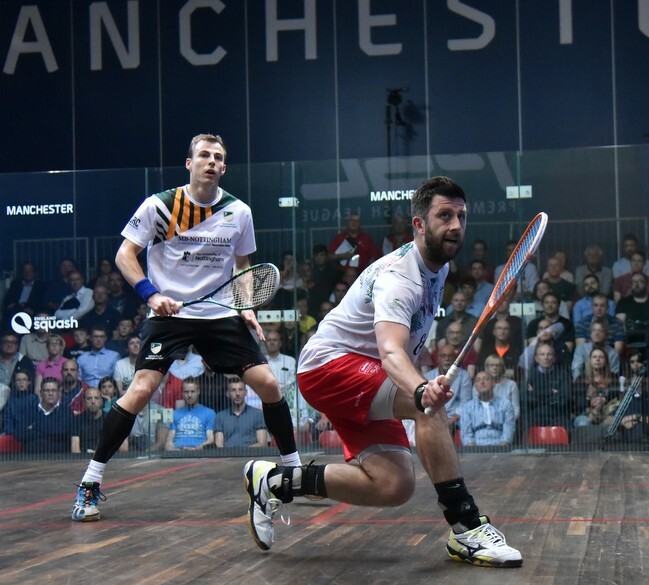 Matthew said: “It could have turned into an exhibition, but I knew I’d lose that, Daryl is too good in those type of matches! 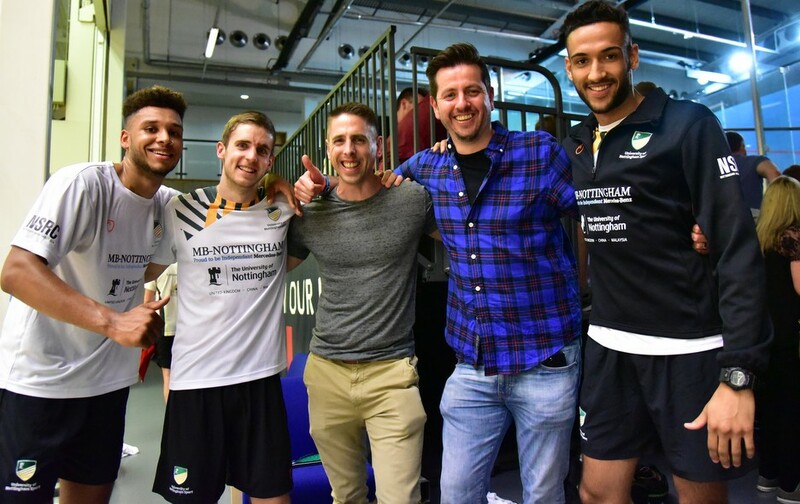 “It was a strange feeling at the start of the season when I pulled on a Nottingham shirt after so many seasons at Duffield, but the club, the fans, have all been great, and playing at the new facility at the University in the second half was tremendous. 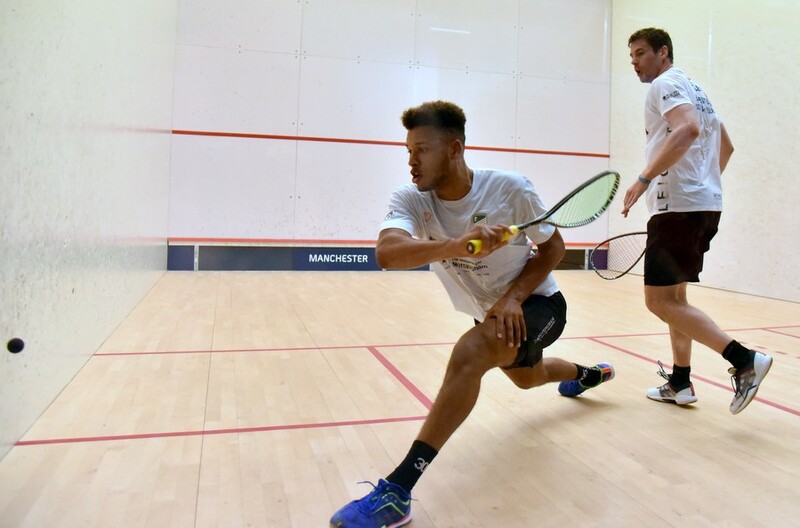 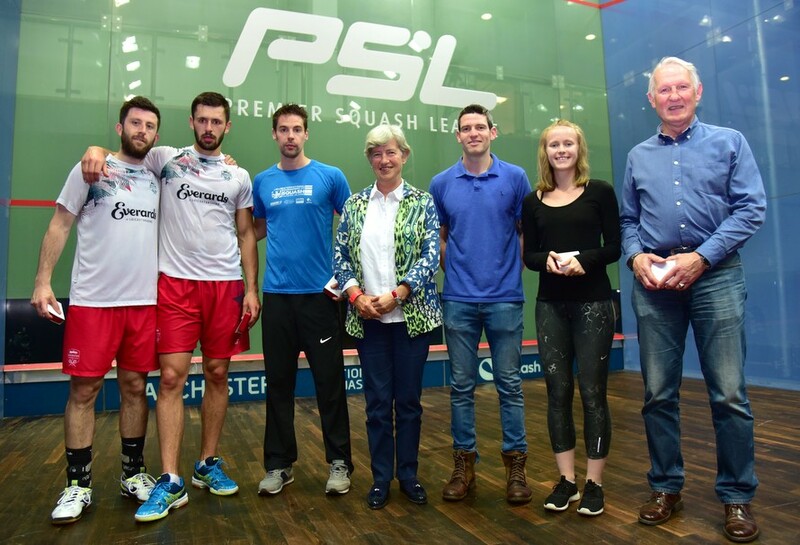 The match finished as a whitewash for Nottingham as Declan James beat George Parker two nil. 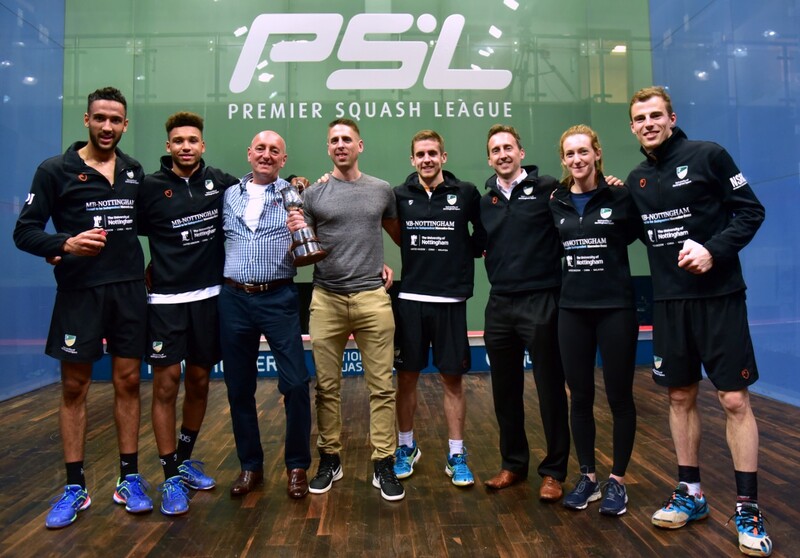 Nottingham’s Manager Nick Hargreaves was delighted: “Absolutely fantastic, we couldn’t have asked for more from the players tonight.